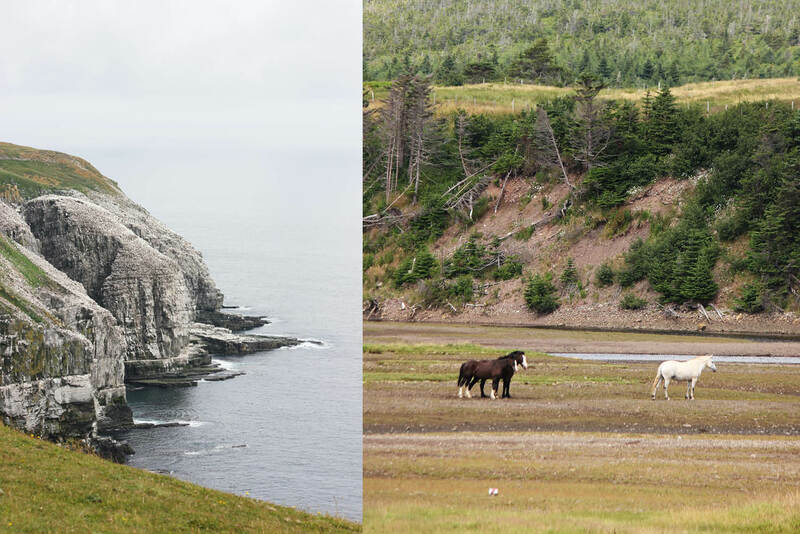 The dramatic cliffs at Cape St Mary’s Ecological Reserve; Some locals graze in the plains along the Irish Loop Road. Whale spotting season is in full swing between from mid-May to the end of September when the whales come to feed on capelin. 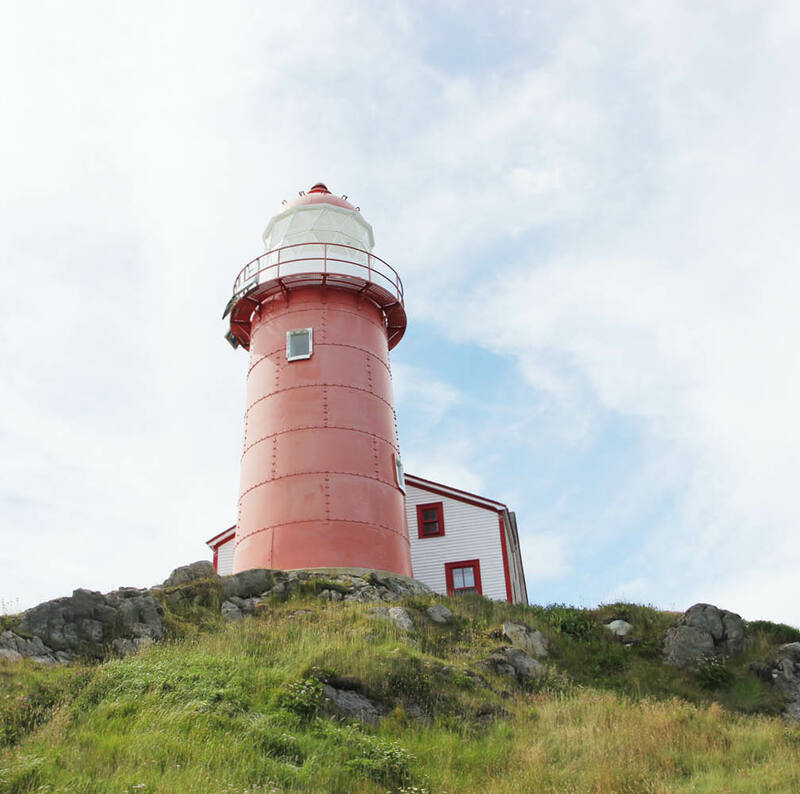 The lighthouse at Ferryland is the perfect spot for a picnic lunch, you might even spot a whale! 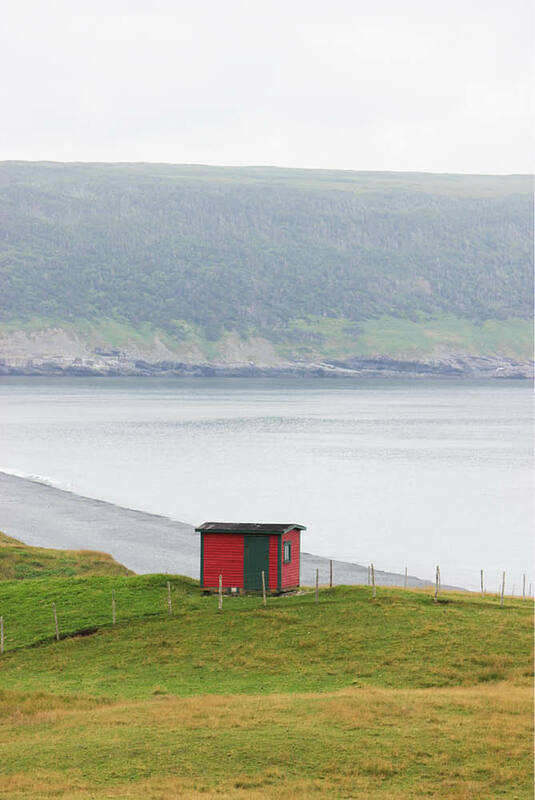 The Avalon Peninsula is sparsely populated and wind-blown, but absolutely breath-taking. Occupying Newfoundland’s south-east corner, the Avalon Peninsula is a breathtaking combination of rugged scenery and vast wildlife. Lara Picone takes on the Irish Loop, where the peninsula’s natural beauty takes centre stage. The locals are being infuriatingly casual about moose sightings. During a road trip around the Narnia-esque Avalon Peninsula in the Canadian province of Newfoundland, it’s been squirrels: six, moose: zero. Everyone has a moose story: ‘Oh, they come and try to eat our cabbages’. Or moose-spotting advice: ‘Just go out on the Trans Canada highway at dusk and you’ll see them licking the salt off the tar’. There’s even a moose hotline advertised repeatedly on the radio for locals to phone-in sightings as a public service. I just want to see a moose. I ask a local if they do moose tours and he looks at me as though I’ve sprouted my very own pair of antlers. “Why would anyone want to do that?” he asks, confounded. Then adds, “It’d be like someone doing kangaroo tours in your country; they’re just there.” I concede he has a point. Luckily, the Avalon Peninsula holds more than mere moose to excite the road-tripper. It is, quite sincerely, one of the most ruggedly beautiful places I have ever set foot. From tundra-like expanses so complete to the horizon the eye can barely compute; from snaggy, serrated cliffs that drive deep into waters that sparkle like a polished gem to summer’s grassy hills bejewelled with wildflowers. It’s not just landscapes, either. Come at the right time and this south-eastern peninsula is one of the best places to spot icebergs slipping down ‘Iceberg Alley’, and whales arriving to gorge themselves on capelin. It’s August and the icebergs have melted like the last chunk in an esky on a summer afternoon, but the whales are here. So moose be damned, I’m going to spot myself a whale instead. As it turns out, that’s somewhat of an understatement. Rather than a singular whale, I found myself surrounded by no less than 30 aquatic beasts while aboard the Gatherall’s Puffin and Whale Watch cruise that leaves from Bay Bulls on the east coast of the peninsula. As the catamaran slides into the Witless Bay Ecological Reserve blaring Irish folk songs, I can’t help but wonder if such a choice in music might be counter to our objective of coaxing out a whale or two. But it seems that I’m A Rover appeals to marine mammals, because it’s only moments before the boat sings out in a chorus of giddy gasps as two large humpbacks breached in unison metres from the bow. From that moment on it’s a whale bonanza. To the left, to the right, tales emerge from the choppy grey waters and slap down lazily to the delight of all on board. Their proximity to the boat is astounding. Some come so close you can see the scars and barnacles on their slick black backs. Arcing slowly from the water like a tyre being revealed by the tide, it’s impossible not to think these beauties are deliberately courting our admiration. So numerous are the whales that we become spoiled by their antics to the point of near-indifference. ‘Oh, that was just a tail, I want to see one breach again’, I hear a fellow tourist remark. As the crew explains, such a bumper whale season is all down to the return of the tiny fish called capelin. For the first time in many years, the capelin have returned to the Avalon Peninsula in great numbers, bringing with them their predators, the whales. Cod and puffins are also growing fat off the capelin feast in an explosion of ocean prosperity. Leaving the whales to their banquet, the boat steers us to check out the 300,000-plus pairs of Atlantic puffins. These little birds (yes, they are far smaller than you think), only return to land during mating season, the rest of the year is spent on the frigid open waters. Their trademark orange beak in fact sheds during these winter months and only regains its vibrant colour when spring returns; a reminder to get busy mating. 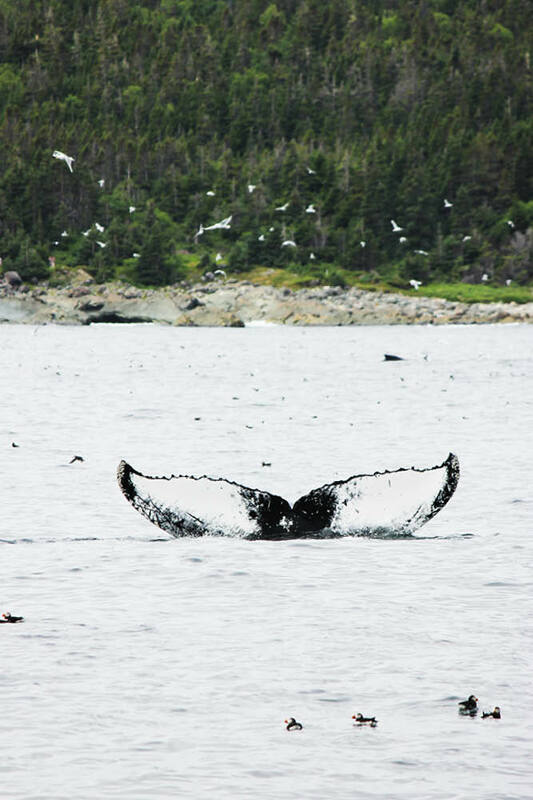 Of course, the whale-watching season will vary each year, depending on the supply of capelin and other factors, but plan for mid-June to mid-August for the best chance. Gatherall’s run a few tours per day during the peak season and, with Bay Bulls just a 30-minute drive from St John’s, it’s an easy day trip. But, seeing as you’re already on the road, you may as well keep exploring. A 45-minute drive south from Bay Bulls is beautiful Ferryland Head. Perched atop the head is the Ferryland Lighthouse, which now serves as a sweet-smelling, picnic-packing kitchen (Ferryland Lighthouse Picnics). Walk the pretty and very gentle one-kilometre trail to the lighthouse, place your order, then scour the headland for the most idyllic lunch spot. The whales have clearly earmarked Ferryland as an ideal picnic spot, too, because here they are again performing their languorous acrobatics for the land-dwelling lunchers. I do prefer my lunch of ham and brie sandwiches, fresh lemonade, and peach shortcake to their capelin, though. There are plenty of walking tracks around Ferryland to explore, so be sure to wear your walking shoes and bring a camera to immortalise the mesmerising scenery. So far our journey has followed the Irish Loop Drive, which skirts the southern shoreline of the Avalon Peninsula, looping around the Avalon Wilderness Reserve. Winding down from Ferryland to Trepassey Bay, there’s scarcely a person to spot let alone a moose. It’s incredible to think that this peninsula is the most densely populated in all of Newfoundland. The sparse, rural towns cling to the coast like urchins, determined to withstand the ebb and flow of industry. It’s not farming country here, there’s no grass, just dense and spongy, bristly growth. A village’s fortunes and population swell or shrink with the seas. You’d need to love acute quiet to live here, especially in winter when the tourists stop coming and the snow completes the isolation. At Trepassey Bay, the population has dwindled from more than 1000 to about 300, and for 120 days a year the village is covered in fog so thick you can barely see your outstretched arm. But those who live in Trepassey love the unabridged version, fog, snow and all. And those who visit will find this tiny town has a magical charm, which begins at the Edge of the Avalon Inn. Although recently renovated with chic, contemporary touches, the true essence of a country inn is alive and well here, making it a must-stop on a road trip. The hospitality is warm and generous, the restaurant is a lively gathering of locals and visitors trading yarns, and there’s live music to draw a thigh-slapping crowd. Before you leave, take a swig of Screech (rum) and join local storyteller Tony Power on a twilight stroll through the town. So thickly spread with Irish intonation is Tony’s speech, he could’ve been plucked from County cork yesterday, but the sixth-generation Newfoundlander has never set foot in Ireland. “There’s no rush, really,” he says wryly of visiting his ancestral home before handing the group slices of white bread to stow in our pockets as an offering to fairy folk, “just in case”. Tony’s tales of ghost ships, fairies making mischief about the place and, less ethereally, Amelia Earhart’s journey across the Atlantic from Trepassey Bay, are captivating. Maybe it’s all Tony’s fairy talk, but strolling through the bay in the near-dark is a magical experience. Happily, it seems the fairies were happy with their gift of bread, because we return to the inn without any spritely high jinx. With my eyes briefed to scour the landscape for moose, it’s onto Cupids Cove via Cape St Mary’s. ‘Watch Out for Moose’ signs along the way seem designed to dishearten. Moose are seemingly as mythical as Tony’s fairies. What I do see, though, are randomly abandoned cars. Parked in nonsensical spots on the edge of plains with their inhabitants nowhere in sight, there’s a slightly eerie feeling to the scene. It’s repeated several times along the drive before I glean what’s going on. Not snatched by fairies, the people belonging to the empty cars are berry pickers. I finally spot some, white buckets in hand, returning to their vehicles with a harvest of wild blueberries, snowberries, raspberries or crackerberries. There’s no time to take a side tour into a field, it’s onto Cape St Mary’s Ecological Reserve where 70,000 seabirds come to nest. The cliffs here are described as ‘avian high-rise apartment towers’, and they are absolutely smothered with birds. Most notable is the rather obviously named Bird Rock, home to around 11,000 pairs of nesting northern gannet. From a distance, the rock looks like a Year 5 art project, stuck with fluffy feathers, but on closer inspection, the white downy appearance is in fact a sea of birds, all squawking, preening and jostling for their patch of cliff. Depending on how you feel about birds, you’ll either find this sight endlessly fascinating, terrifying, or repulsive (with so many birds comes so much excrement). Birders will delight in the many species found along the Welsh-like cliff tops. 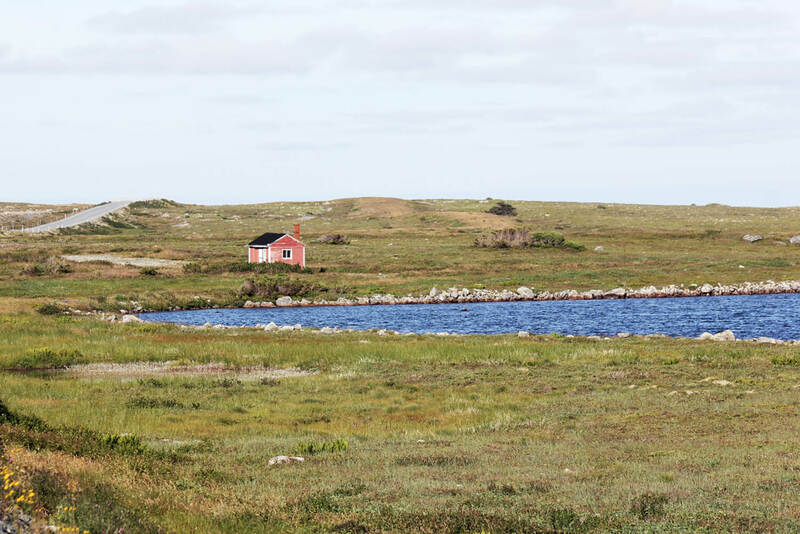 The walk from the Interpretive Centre to Bird Rock is a beautiful stroll across the barrens, so even if birds aren’t your thing, Cape St Mary’s is worth a detour. Just under three hours away, passing some adorable little coves along the way, is Cupids Cove (or Cuper’s Cove). Settled by John Guy in 1610, this is the oldest English colony in Canada and one you can, and certainly should, learn all about on a tour of Cupids Cove Plantation Provincial Historic Site. Despite the threat of scurvy and starvation, it’s easy to see why Guy persevered with his colony; it is thoroughly breathtaking. Spend the night at the suitably cute converted St Augustine’s Church that is Cupid’s Haven. The bed and breakfast also happens to have an astonishingly well-replicated mini Globe Theatre in its backyard where, naturally, Shakespearean works are performed during summer. The theatre is also the last building before you reach the Burnt Head Trail, a 2.5-kilometre coastal loop winding through meadows, along cliffs that offer glimpses into aquamarine grottos, and through woods scattered with wild blueberries ripe for the picking. I scramble down to the rocky beach and wade into the crystal water. It’s 25-degrees in the sun, but the water is so icy my feet ache after 30 seconds. I dry them on a warm rock and pop a handful of foraged blueberries (they’re safe to eat, I checked) in my mouth. I may not have seen a moose on this journey, but what I have seen on the Avalon Peninsula is a wild beauty unlike anywhere else. Beauty enough to inspire settlement in a strange land and persist in the harshest of seasons. I’ve been captivated by the mysticism sewn into the landscape of this both bountiful and barren rock in the Atlantic, a place that feels as though it’s truly on the edge of the world.